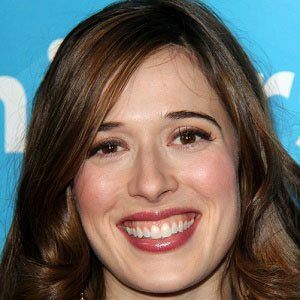 American actress best known as a series regular on the NBC drama Chicago P.D. She also appeared in eight episodes of Gossip Girl and guest-starred as a Russian spy in The Americans. She graduated with a Bachelor of Arts in Theater from Northwestern University in 2003. As a stage actress, she has worked off-Broadway in Just in Time: The Judy Holliday Story and Manipulation, Beauty of the Father. On-Broadway, she starred in an adaptation of Ernst Lubitsch's To Be or Not to Be. She grew up in New York and relocated to Chicago. She married Eli Kay-Oliphant. She made her feature film debut in 2009's It's Complicated and has also appeared in Alter Egos and the Noah Baumbach-directed Frances Ha.